Sometimes when doing Cypher queries the result is only one column and not multiple columns, therefore it makes sense to have a method in the fluent API to let this be known, so we do not have to map the column to an object type. So fluent support to deserialize common result sets where cypher returns a result with only 1 column with the help of Tatham Oddie is completed. So, if you need cypher results with only one column then use .ResultSet instead of .Results, thus no need for expression tree column matches to assist the deserializer with multiple column names. Here is a sample rest response with 1 column result that is suited perfectly for ResultSet. If you wondering what the hell is agencySource, it is just node references, that I got using gremlin, which can spin off cypher queries, cool is it not? Use .ResultSet for single column result sets and use .Results when dealing with multiple column results. So in a nutshell, we like to use Cypher when we need tabular data back from Neo4j and is especially useful in outer joins. Here are two queries that return the exact same data from Neo4j, one in Cypher and one in Gremlin. Below is the converted parameterised script sent for cypher and gremlin respectively for those not familiar with the Neo4jClient. I have included below the non-paramerterised cypher and gremlin query respectively. The Neo4jClient also has a built in custom Cypher REST result deserializer, so you do not need to worry about all the serialization/deserialization logic, courtesy to Tatham Oddie. Below are some sample queries to get you going. You can look at the Source Code for other code samples in the Test project. Below is deserialization code, note this is Internal to the client and you would never explicitly call it directly, you would always use one of the Return overloads instead. I have put it here for those coders interested in deserialzing Cypher Rest results from Neo4j using expressions. const string queryText = @"
The Neo4jClient now supports both Gremlin and Cypher query language in one logical graphClient, this should prove to be sufficient for all graph client query needs and CRUD operations, we now get the best of both worlds. You have intrinsic Neo4j CRUD + Gremlin + Cypher. We find a balance where Gremlin is used for simple Graph Traversals and Cypher is used as our reporting tool. 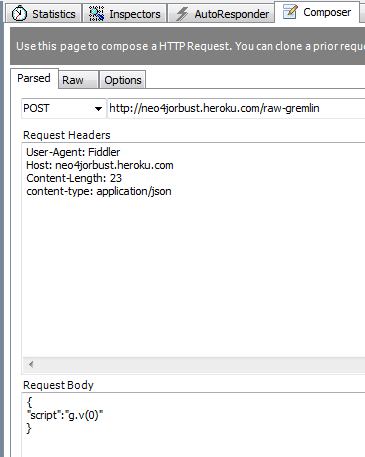 I would like to share gremlin querying using the .Net Neo4jClient. So, what we doing is essentially left/right joins on ReferralNode, ReferralDecisionNode and Program. Note: Using the AS clause within a CopySplit pipe in conjunction with table projections will produce undesired results, I am not sure if Gremlin supports such operations, if you know, please contact me. Visit Marko Rodriguez for in depth discussions on Gremlin. We going to outlay the process to deploy a 4 layers architecture using the above technologies. 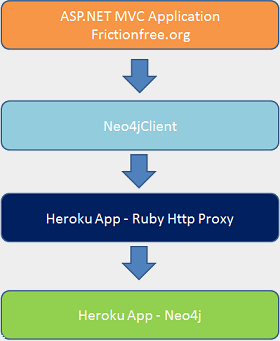 Sinatra and the Rest-Client libraries are used in the Ruby Gem to proxy all Http requests to Neo4j. Ok, now we push the Gem files to our Heroku git repository. Your repsotory will be different to mine! web.1 idle for 9h thin -p $PORT -e $RACK_ENV -R $HER..
Nice, now we got this GEM file, which is our Ruby http proxy code for gremlin queries. Lets test this baby out with fiddler and run gremlin query to the web app, which will then call neo4j! Lets browse the Ruby Application on the Heroku server, so we can find out what URL we need to use to send Gremlin queries to Neo4j. Beautiful, all we need to do now is send an HTTP POST to the added, you can use curl, but here is fiddler. 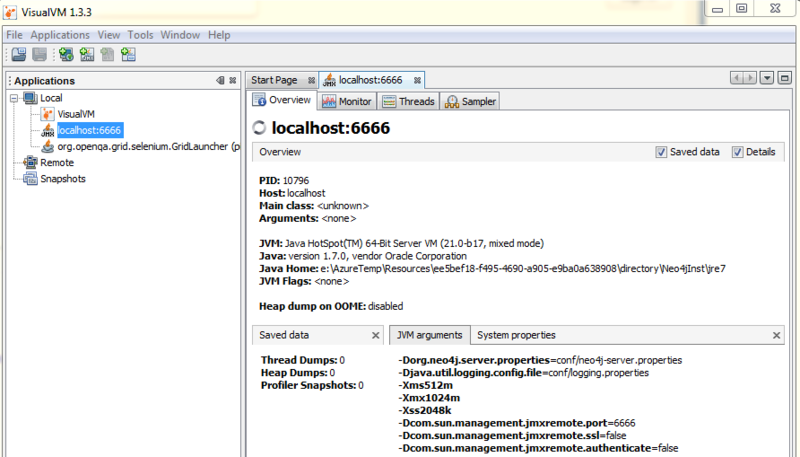 Clone the git repository to get the source code for our sample Neo4jClient .Net application. This is a MVC4 application and runs on the .Net Framework 4 runtime, so please ensure you have this installed on your windows machine. The application is used to find other people with similar interests to you and the opportunity to get their details and contact them to perhaps share your love of flying, surfing or whatever it is you like to do! If you have your own ASP.NET application, you can store it in bitbucket and then configure bitbucket to auto deploy to AppHarbor when pushing back the repostory. 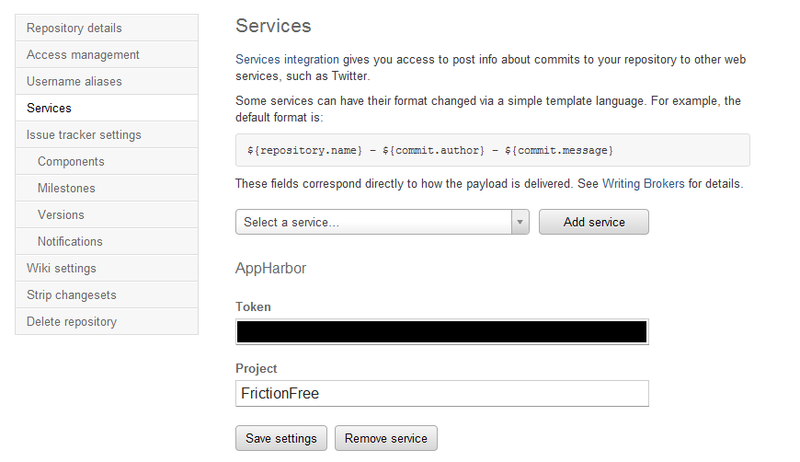 In the admin settings for your repository just add your appharbor token. 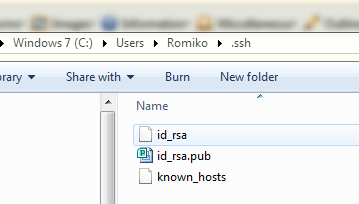 The Heroku batch file will look for the id_rsa.pub file and use it to connect to the cloud servers. Notice the appname is lowercase always! For this to work, you must verify the account and you will need a credit card, it will NOT be billed. Don’t sue me if it does! You can then go check your addons on the web site at heroku under resources. Click databases and scroll to bottom. In the development of the Neo4jClient, we noticed that all DB queries to Neo4j were taking roughly 150ms longer than on my local development machine. after using Fiddler and ApacheBench, it was clear the performance issue was inside the .Net Code. 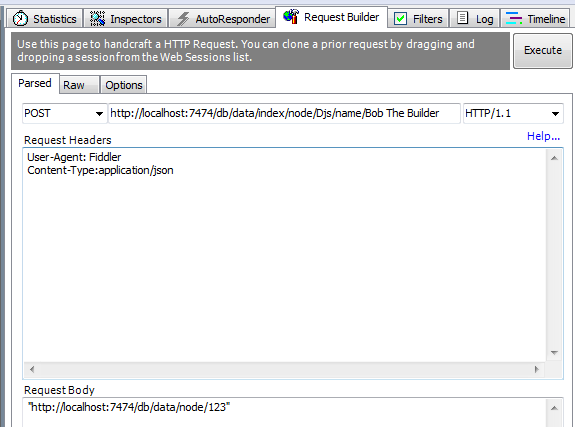 What we use in Neo4jClient (http://hg.readify.net/neo4jclient/wiki/Home) is the RestSharp open source library. Fiddler proved to be very unreliable to produce consistent results due to it caching and reuse of connections, even when disabling them, also, when requests went via fiddler, the response time was quick, so queries taking over 150ms without fiddler were taking 10-15ms within fiddler. The solution was to build a custom .Net tool to send Http POSTS, and using the JetBrains DotTrace utility, we were able to see an issue where, if we FIRST bypassed RestSharp and just used HttpWebRequest, the response time was quick, as soon as we used RestSharp it went slow, and even after using it, going back to HttpWebeRequest was then slow. Somewhere, a Static Class was causing an issue that RestSharp uses. In the above profile, the http response time is fast. RestSharp sets the ServicePointManager, which is a static class, and what we found was that this algorithm was causing 150ms delays in our Neo4j DB calls. we found changing Expect100Continue not to cause any changes, however setting UseNagleAlgorithm to false, solved the issue, and now all DB calls to Neo4j are 150ms quicker! If you doing allot of small HTTP POSTS, it might be a good idea to turn off the Nagle Algorithm. When using the Neo4j REST API(http://docs.neo4j.org/chunked/snapshot/rest-api.html), be aware of the response times, and if you notice response times greater than 150ms for all DB calls, then perhaps you have the same issue with the ServicePointManager confguration. The Nagle algorithm increases network efficiency by decreasing the number of packets sent across the network. It accomplishes this by instituting a delay on the client of up to 200 milliseconds when small amounts of data are written to the network. The delay is a wait period for additional data that might be written. New data is added to the same packet. The practice of compiling data is not always ideal for Web services, however, because a POST request often contains a small amount of data in the HTTP headers without the body (because of 100 Continue, as described earlier). 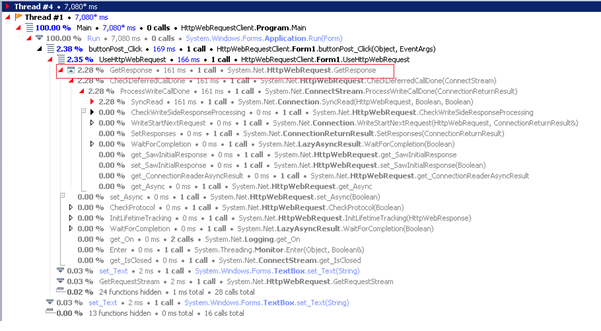 The Nagle algorithm can be turned off for Web services calls via the System.Net.ServicePointManager.UseNagleAlgorithm property. Yet disabling the Nagle algorithm might not provide the best performance either, you’ll need to experiment with disabling the algorithm to fine- tune your application. Whether you should disable the algorithm in this case depends on several factors, including the size of the Web services call, the latency of the network, and whether HTTP authentication is involved. 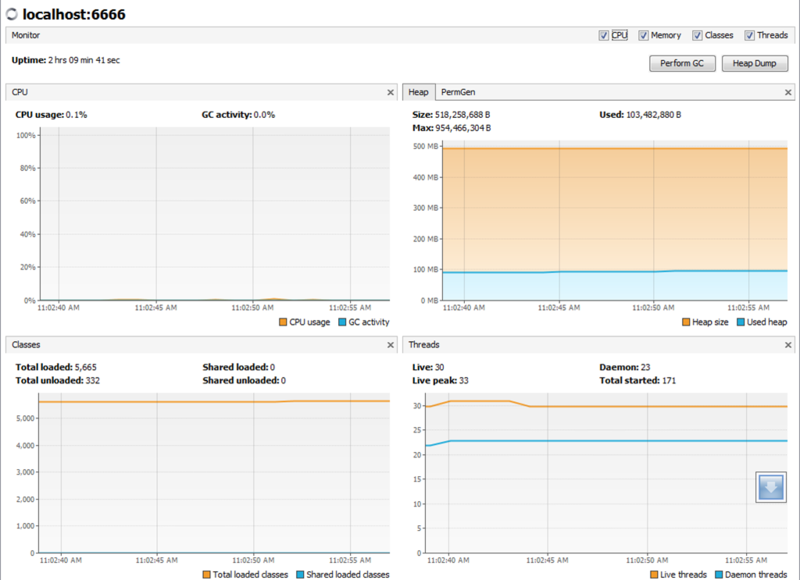 We currently need a way to have performance profiling management solution in place for Neo4j running in Windows Azure cloud. The benefits of course is on going data analysis and performance statistics, not to mention assisting in debugging issues with performance. The best part of it all, is the agent that collects the data just runs as part of the JVM and the data is automatically uploaded to the website where you can view it online. 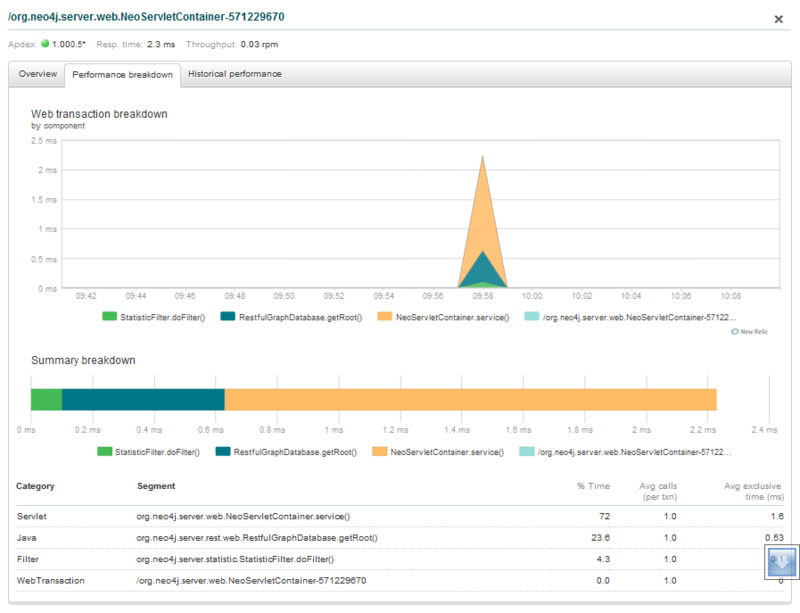 The yml file contains the license key and the application name to display on the new relic performance dashboard website. 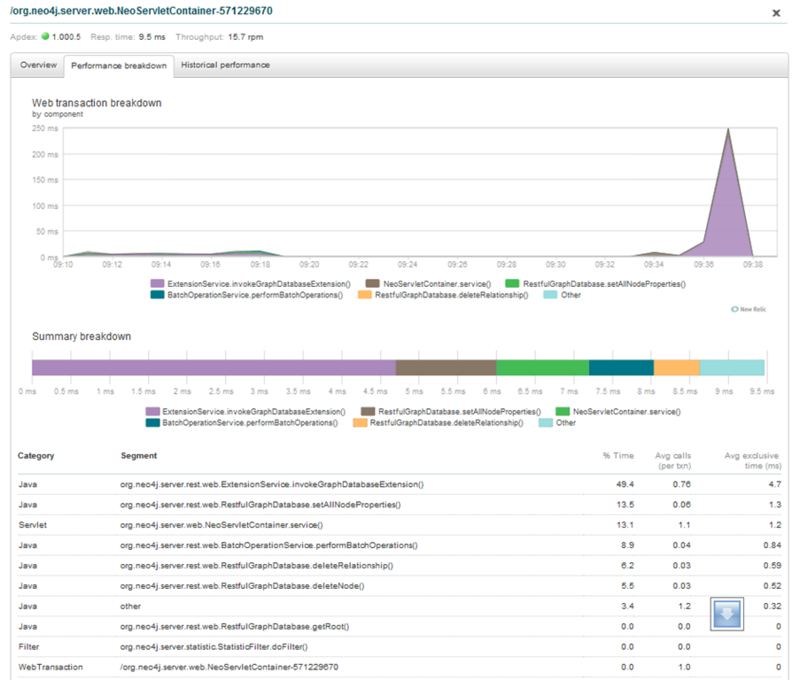 When you use New Relic it has a trial option, so it is easy to test out. What we do is store these zip files in blob storage and when the worker role is bootstrapping, it will then download the zip file, and then automatically edit the neo4j config files before starting up neo4j. It is extremely simple to configure the relic agent to run and profile neo4j, all you need to do is edit the neo4j-wrapper.conf file and add this line of code. We use a relative path, as we store the newrelic jar relative to the neo4j binaries, so all you need to do is store the newrelic.jar file in a location where neo4j can access it from when starting up. Once this has been deployed to the cloud, we then have performance statistic automatically made available to use via the neo4j JVM on the New Relic web site! 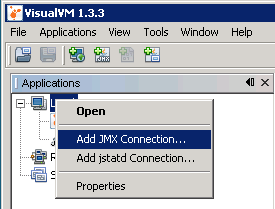 From here, you can actually click a segment on the graph and drill into the method level calls that occurred in the JVM. Notice that you can get details about the timing of method invocation timings. It is a relatively easy task to get application performance statistics for neo4j running in or out of the cloud and New Relic seems to be a really useful tool with minimal overhead to get up and running, so I would highly recommend using the combination together. This coupled with VisualJM should provide enough performance data and profiling when collecting performance data and compiling reports. It might be necessary to use JMX to profile neo4j, which we are currently doing to address performance issues with Neo4j in combination with Windows Azure. 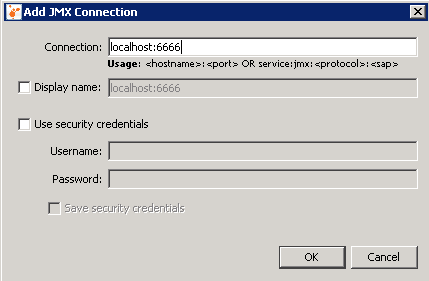 Notice, that I am using a port number here, and this will allow remote JMX profiling, the reason for this is that in azure, the neo4j instance runs in a different user context than the remote desktop user, so we need a way to attach to the process, with VisualVM, we can do this via remote JMX. From here we can now do profiling of the Neo4j application. I spent some time working on full text search for Neo4j. The basic goals were as follows. Query Index using full text search lucene query language. So with the above objectives, I decided to go with Manual Indexing. The main reason here is that I can put an index pointing to node A based on values in node B.
Surname, FirstName and MiddleName. 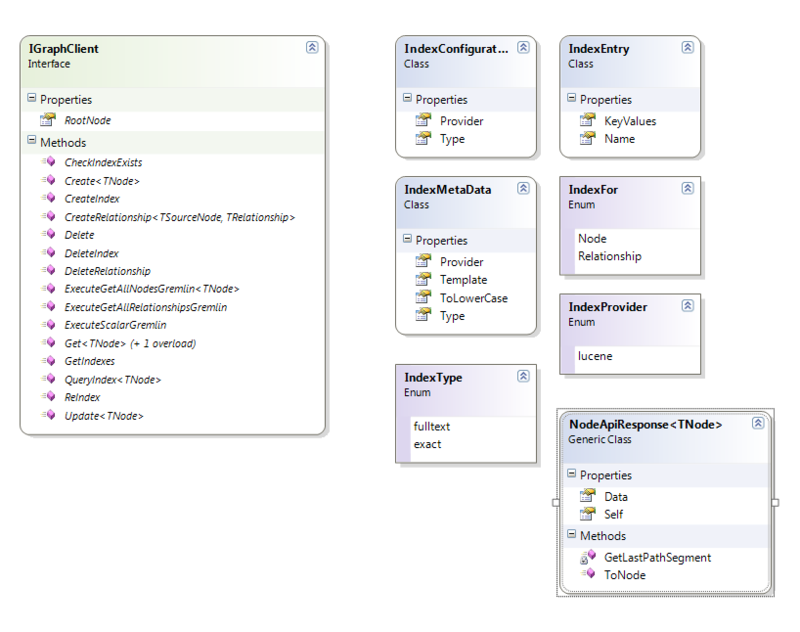 However Node A also has a relationship to Node B which has other names, perhaps Display Names, Avatar Names and AKA’s. So with manual indexing, you can have all the above entries for names in Node A and Node B point to Node A only. So, in a Rest call to the Neo4j server, it would look something like this in Fiddler. So, if we were adding 3 names for the SAME client from 2 different nodes. You would have the same IndexName and Key then with different values in the Url. The node pointer (In the request body) will then be the address to the Node. Creating Exact or FullTest indexes when creating a node, the node reference will automatically be calculated. Deleting entries from an index. 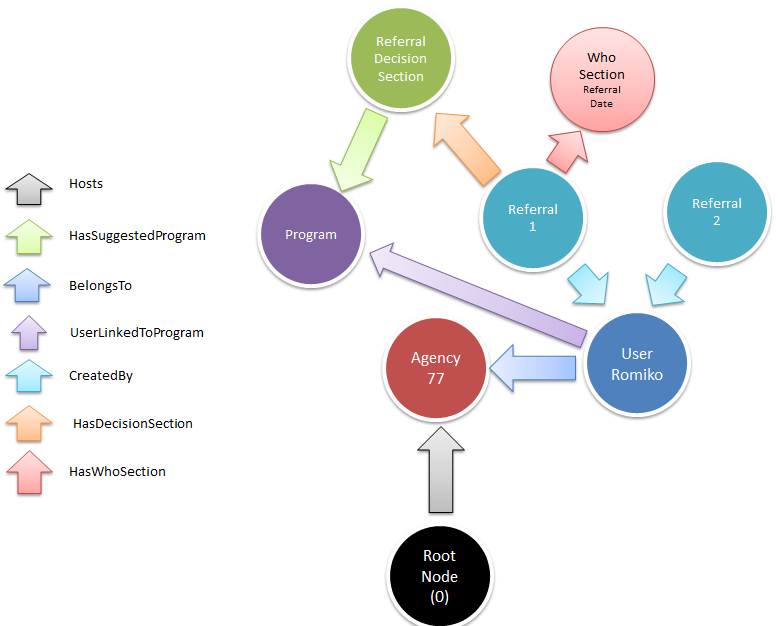 Class diagram for the indexing solution in Neo4jClient. 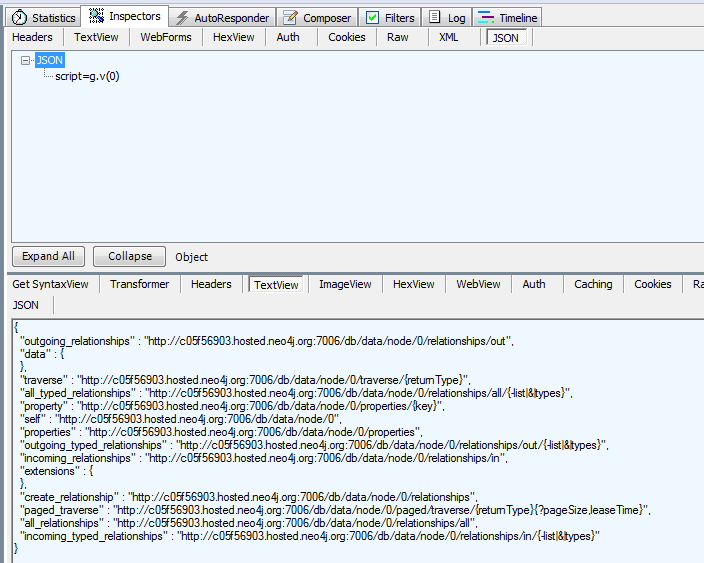 The Neo4jClient package uses RestSharp, thus making all the index call operations a trivial task for us, so lets have a look at some of the code inside the client to see how to consume manual index api from .Net, and then in the next section well look how we consume this code from another application. This is useful when bootstrapping Neo4j, to see if there are any indexes that SHOULD be there and are not, so that you can enumerate all the nodes for that index and add entries. Notice there was a call to PopulateAgencyClientIndexin in the code, this is done in our bootstrap to ensure indexes are always there as expected, and if for some reason they are not, then they created and populated by using reindex feature. Remember, Lucene has a white space analyser, so any names with spaces MUST become a new index entry, so what we do is split out names based on whitespaces and this becomes our collection of IndexEntries. The above is related to full text search context. Note: If using EXACT Index match, then composite entries are needed for multiple words, since you no longer using lucene full text search capabilities. e.g. This is good to know, because things like postal code searches or Gender where exact matches are required do not need full text indexes. Lets check out an example of querying an index. Well, I hope you found this post useful. Neo4jClientis on nuget, so have a bash using it and would love to know your feedback.